"It also has to do with the idea of what chocolate is to me. It is an aphrodisiac. The taste of chocolate is irresistible and it raises the endorphin levels in the brain. The endorphin rush one gets from chocolate is the same I feel watching the gorgeous dancers… It is a very generous experience, much like what Alvin Ailey was to me as a mentor." Thanks to Artistic Director Emerita Judith Jamison, the former Ailey dancer Dwight Rhoden was invited back to choreograph his second ballet for Alvin Ailey American Dance Theater. This work includes a musical score by another former Ailey dancer, Antonio Carlos Scott. Mr. Rhoden's first piece, Frames, was commissioned by Ms. Jamison in 1992. Since that time, Mr. Rhoden has developed his craft and won acclaim as a freelance choreographer. 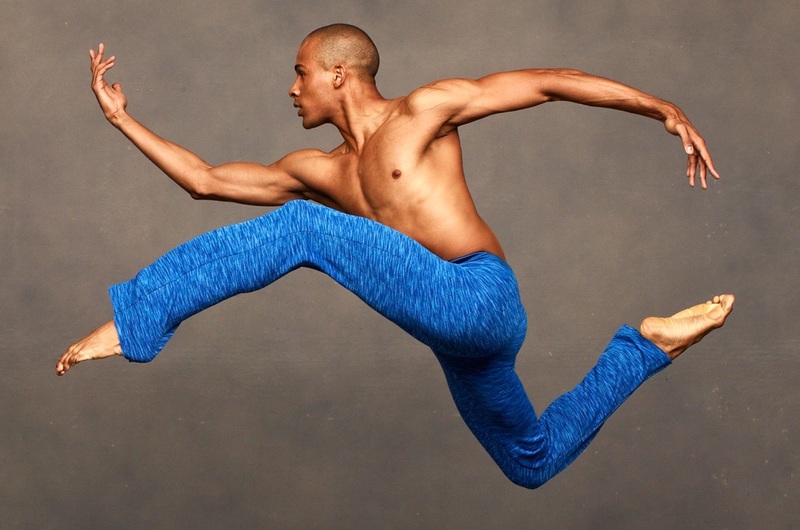 In a recent telephone interview, Mr. Rhoden illustrated the importance of his return to his Ailey roots. "Honestly, I wasn't sure how it was going to be for me going back to the Ailey company. It turned out be one of the greatest experiences that I've had as a choreographer. All of the dancers were willing and Judi was very inviting. This made the creative process easier for me. I was able to experiment and the dancers were so ready to be challenged. The detailed movement and different style of dance I was choreographing required their collaboration." "The Ailey dancers are quick and proficient in many styles of movement and techniques. You don't have to ask them to perform because as soon as they learn the steps, they are in the role already and enthusiastic about taking it to the level of a performance. With Chocolate Sessions, I was exploring the various tensions that comprise a duet and I wanted it to have an improvisational quality. It's reactionary and one movement feeds into another with a sort of seamlessness. My movement is more structured and detailed but it almost has a contact improvisational feel in its evolution. My work is complex-I love mathematics." "I think at first the dancers were challenged by my choreographic process. I do a phrase of movement and then I insert other steps onto that phrase. I change it around in the process and turn it upside down. So it is a lot of brain work for the dancers. The challenge for me was to be able to say all that I wanted to say in 17 minutes. I wanted Chocolate Sessions to have a real sensibility. I wanted the ballet to be episodic in nature-rich, strong, decadent, sweet, intense-all those elements that I feel the Ailey company embodies. It is my impression of what the Ailey legacy is because I am a product of everything I have been a part of."